Fashioned to resemble authentic slate in every sense, this stone is made to withstand the elements. 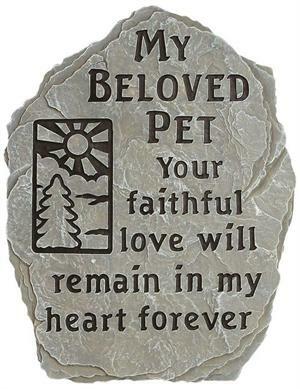 This is a perfect addition to a memorial garden or to mark a special burial place. Inscription reads: "My Beloved Pet your faithful love will remain in my heart forever."